Here’s the short of it. Yes, your baby will be gone forever. No, they’re now crawling away from you as much as they’re scuttling toward the promise of high sea adventures and vitamin C deficiencies. Don’t be selfish and get all pissy. Remember, your toddler is only a toddler in land years. In sea years, they’re early-to- mid-twenties, easy. 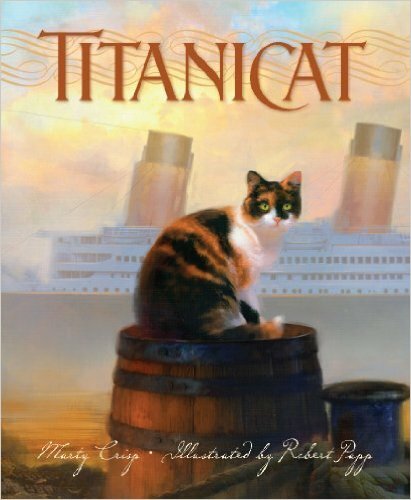 Think of Titanicat as a hardcover back-to-school special. But minus the “school” part, since the story takes place at a time when mothers clogged their mammary glands with pine tar and hot sauce to steer their babies away from free lunches and toward earning them in sawmills, coal mines and the boiler rooms of doomed ships. America’s glory days, in other words. Titanicat confirms the near-universal belief that calicos aren’t really cats. According to Bumblepedia, they are poop nuggets squeezed out by Satan himself. Their feline qualities are owed to the random furs and appendages that stuck to them while bobbing around Hell’s septic tank. Think about it…. #Science. Our boy was understandably annoyed, but the squinty-eyed momma cat was even more so because she hated this kitten. Why else would she have abandoned it after feeding it all the leftover iceberg magnets? Wait-iceberg magnets? Yes. Those are important to the story but not so important that the author thought to include them. Luckily, Bee Mechanic is here to fill in the blanks. Calico puts iceberg magnets on Titanic. 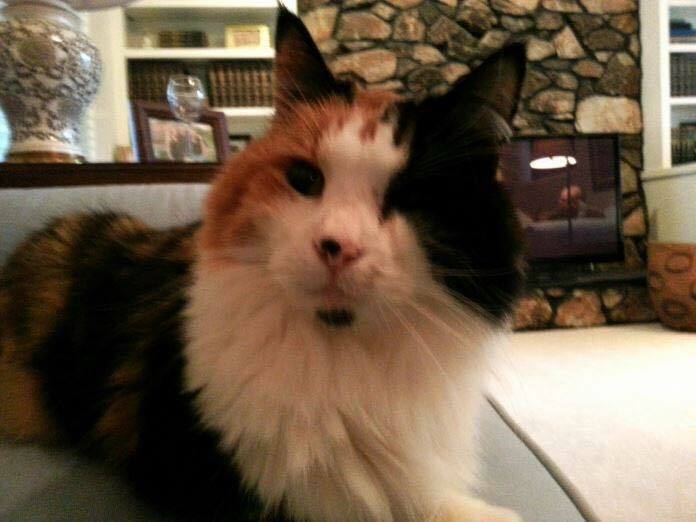 Calico abandons ship and her kitten. Iceberg magnets put Titanic on Spongebob’s lawn. Occam’s razor and stuff. Even though she was probably bummed to have to figure out how to once again ditch the kitten she hated, Titanicat had to admit that things worked out pretty well for her. Not only did she end up looking like a hero for inadvertently saving that boy’s life, she took no blame for her masterminding of the disaster. Titanicat won the Golden Sower award, and now it gets the Bumblebot Sting of Approval. I always rooted for Taco but wouldn’t have bet on her. They wouldn’t fight so much as Belle would ambush her. The ambushes always ended the same way: Taco would be pinned with Belle’s jaws clamped on her throat, the urgency of Taco’s protracted squeaks for mercy like water sizzling through a kinked garden hose. Thankfully, as far as I know, Belle always stopped short of springing a leak in Taco. So there’s that. The day Belle was put down, *** a ceiling fan that had been inoperable for years had suddenly started working again. Not only had Belle returned to the Bosh painting from whence she came like Vigo in Ghostbusters, she took her fan-sabotaging instruments with her. Rest in peace, Hell’s Belle. *A scrawling of an octopus means your child wishes they could latch onto you in a forever hug with even more arms. A drawing of a shark swimming away from a treasure chest means they sharted, then hid the dirty diaper in their toy box. *** Too many spider hatchlings in the cavity where her heart should have been.